Fertility acupuncture cues to both men and women suffering from fertility problems. In women, regular acupuncture treatments stimulate the production of follicles by the ovaries. In men, acupuncture improves sperm quality, sperm motility, and sperm count. Medical studies have shown how acupuncture treatments can improve the thickness of the uterine lining and facilitate embryo implantation. That's why fertility acupuncture is often recommended to women who had a number of miscarriages or that are going through cycles of in vitro fertilization treatments. Acupuncture originated in ancient China thousands of years ago and it is still used successfully today to treat medical conditions and to prevent sickness. It is practiced by inserting needles into the body with the intent of promoting healing. Acupuncture body points, when stimulated by inserting an acupuncture needle, increase energy flow to specific organs. Acupuncture focuses on increasing overall wellness, thus enhancing fertility as a result. During acupuncture for fertility treatments, the blood flow to the reproductive organs increases and ovarian function improves greatly leading to healthy ovulation and conception. In males the stimulation of the conception meridian increases sperm count and sexual stamina. Studies have reported that there is a strong correlation between the age of the mother and her ability to conceive. However, it is important to remember that the eggs of some women in their forties can be kept in excellent quality due to slow biological aging. Fertility acupuncture can assist the body in doing just this. Even if it is not possible to reverse your chronological aging, nonetheless you can definitely influence the progress of your biological aging and improve egg quality with acupuncture. Regular acupuncture treatments can be very helpful in regulating hormonal imbalances. Acupuncture influences the hormonal regulation centers in the brain, the autonomic nervous system, and the hypothalamic-pituitary-ovarian axis. High FSH is connected with poor quality of eggs. This value can fluctuate and can be brought down to acceptable levels when too high in order to help a woman who has to undergo IVF treatments. Keeping track of the basal body temperature is an excellent way to assess your progress with acupuncture by monitoring how your hormone fluctuation pattern is changing. 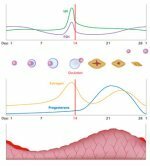 Over a period of time, while getting acupuncture treatments, you will notice that you tend to ovulate closer and closer to day 14 and that your luteal phase is around 14-15 days in length. Your periods will flow with ease, with less clots and cramps. All these are improvements that signal that you are gaining better hormonal and reproductive health. 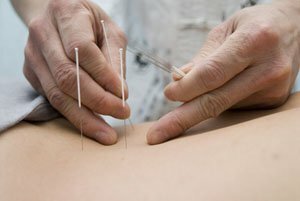 Every patient is unique and your acupuncture practitioner will determine the best acupuncture body points for your specific case. Every person receives a specific acupuncture treatment each time. The most commonly used acupuncture points to address infertility and stimulate the organs of reproduction like the ovaries, the uterus and the fallopian tubes are located on the lower abdomen, on the back and the arms and legs. Take a look at the following video to get an idea on how acupuncture for fertility works and where the acupuncture needle are inserted. It is painless and very relaxing. It is best to receive acupuncture thought the entire menstrual cycle to obtain the most benefit. If you become pregnant while receiving acupuncture treatments you are absolutely safe. This happened to me and I believe that receiving acupuncture while trying to conceive naturally may prevent miscarriages and decrease the discomforts of pregnancy like morning sickness, water retention, lower back pain, etc. Having said that, you should always tell your acupuncture practitioner that you might be pregnant because there are some acupuncture points on the hands and legs that should be avoided during pregnancy since they can stimulate the uterus and cause premature contractions. Also, tell your practitioner at what phase of your cycle you are at the time of your treatment because your treatment can be modified to better help your body at that time of your cycle. For example, a more specific protocol may be used when applying acupuncture after ovulation, in order to maintain a low stress level and to support implantation. The fertility acupuncturist assesses your individual circumstances and suggests a treatment plan for you. It is well known that ongoing emotional stress creates imbalance in the autonomic nervous system. A number of studies have demonstrated that acupuncture influences the activity of the autonomic nervous system, which regulates important functions of the body that are not under the voluntary control. These include the heart rate, the endocrine system, and the digestive system. The autonomic nervous system is divided into two components: the sympathetic nervous system and the and the parasympathetic nervous system. 1. The sympathetic Nervous System's main function is to respond to stressful events by stimulating certain body responses like increasing the heart rate, constricting the blood vessels, and decreasing the digestive activity. The result of these changes are the preparation of the body to the fight-or-flight-response. 2.The parasympathetic nervous system's main function is to promote relaxation, aid digestive activity glandular secretions, lower heart rate, and put the body in a calm state that promotes wellness. In our stressful social environment, many women and men are constantly in a stressful mode, which constantly activates the sympathetic nervous system and suppresses the parasympathetic one. Research studies in acupuncture and infertility suggest that acupuncture helps reset the autonomic nervous system back to a balanced state. Relaxation through acupuncture treatment regulates the parasympathetic branch of the autonomic nervous system which is important for maintenance of proper regulation of our internal function including reproductive organs. This means that normally human beings should be relaxed, happy, looking for food and engaging in reproductive activity, just like our ancestors, millions of years ago. I believe that using meditation with fertility acupuncture helps women relax even deeper and reach a state of healing and wellbeing that activates the flow of new energy though your body and the release of old stagnant energy away from the reproductive organs. Moxibustion is practiced by holding a moxa stick about one inched above the acupuncture point that needs stimulation. With Moxibustion, the acupoint is stimulated by heat. It is known for its ability to soothe menstrual cramps and regulate a woman's monthly cycle. It does this by stimulating blood flow to the reproductive organs through the use of heat. Moxibustion can be used in conjunctions with acupuncture to treat infertility. Women suffering from infertility usually suffer from a lack of heat, which is due to insufficient blood flow to the reproductive organs. Moxibustion provides heat stimulation when applied on selected acupuncture points to help increase blood circulation to the uterus and pelvic area. The gentle soothing heat provided by moxa also induces a deep relaxation response, which also very important in enhancing fertility. Fertility acupuncture for men can help in increase sperm count, motility, and morphology of the spermatic cells. Acupuncture also improves cases of weak erections, enlarged prostate gland, and male urinary tract infections that can affect male fertility. In these cases, acupuncture treatments should be carried out for a period of 6 months. 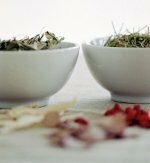 Often taking specific herbal compositions may help speed up this process. Fertility acupuncture body points are not usually painful even if a very small tingling sensation is felt while the needle is inserted. After that you should not feel anything. If you do, tell your fertility acupuncturist because maybe the needle was inserted too deeply. Do not suffer through the pain, it may give you a negative effect. If the needle has been inserted too deeply, you will have a bruise on that spot. Sometimes, when the needle is removed, you will feel a bit uncomfortable, but it should go away right after. If electric current is applied, you will feel the tingling on your body part. Ask to have the current turn to a lower level if you feel like you are twitching. Make sure your fertility acupuncturist uses only sterile non-reusable needles to prevent infections. This is a must! Everybody experience with fertility acupuncture is different. Many people love acupuncture while others do not feel comfortable having needles inserted into their skin. Talk to your fertility acupuncturist if you feel uncomfortable at any time during the course of your fertility acupuncture treatment. After your treatment take a few minutes to get up, you might feel dizzy for a minute or two. Take your time. When planning for your pregnancy, you need to know so many things that will ensure you will have a healthy baby. To learn more about healthy pregnancy planning, read this eBook. You will gain a huge amount of knowledge that you can implement right away. You will experience positive results in your overall health and hopefully a positive pregnancy test, very soon!